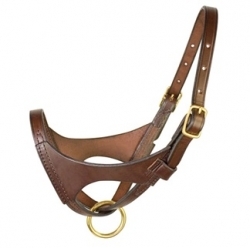 Perri's Premium Leather Foal Halter, Horse Halters and Leads, Horse Tack at TOHTC.com. A top quality stitched leather foal halter. A great choice for that special new baby! Soft and durable and it&apos;s Amish made in America.